The 2016-17 season did not unfold the way that Matt Beleskey or the Boston Bruins had planned. A slow start was followed by a knee injury, resulting in a 24-game stint on injured reserve. Upon returning to the lineup his ineffectiveness continued, leading to multiple games down the stretch spent as a healthy scratch. When all was said and done, the 29-year-old left wing registered just eight points over 49 games. 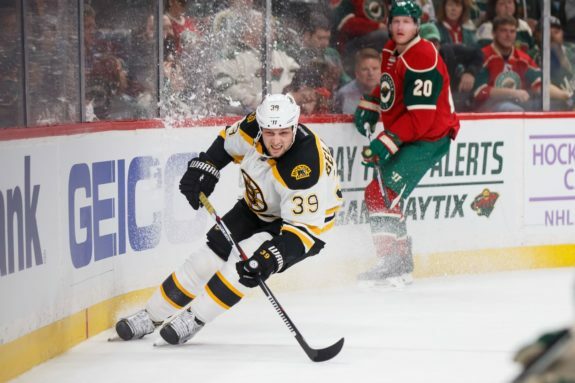 His five-year, $19 million contract that was once deemed reasonable is now in danger of being an anchor for a Bruins team attempting to climb back amongst the league’s elite. With a bevy of talented left wingers set to battle for roster spots come September, the onus is on Beleskey to return to form to salvage his job as well as the team’s investment in his services. In doing so, the chain of events stemming from his turnaround would be multifaceted and significant. For starters, the Bruins getting their money’s worth out of Beleskey is the most obvious benefit from a potential turnaround. I’m sure I’m not blowing anyone’s mind by suggesting that the Bruins are better off with a player who earns nearly $4 million per season generating offense and helping the team win games. A Beleskey buyout would cost Bruins $1.222M over each of next six seasons. That’s a heck of a long time to be paying someone over $1 million to go away. Furthermore, the Bruins already have $2.7 million in dead money toward the cap this season following the buyouts of Dennis Seidenberg and Jimmy Hayes. That number drops to a still-considerable $2 million for the 2018-19 season. There’s even more than $1 million in dead funds already on the docket for the 2019-20 season. As such, a buyout of Beleskey is an untenable solution. Knowing when to move on from a bad investment is a necessity in any business. Were the Bruins in dire straits regarding their cap situation, trading Beleskey for cents on the dollar might be the best course of action. Currently, the team is in good standing regarding their financials, and as such, there is no need to jettison the Ontario native while his value is at an all-time low. With a bevy of prospects at wing in the Boston pipeline, it’s likely that even a resurgent Beleskey does not finish out his current contract in Boston. At the very least, a return to form would increase his number of suitors while also helping the organization recoup as much value as possible from his initial signing. There’s no denying the fact that there’s a youth movement in progress within the organization. THW’s Cam Hasbrouck wonderfully details just how important the young guns will be this upcoming season; you can find the article here. However, there’s a difference between those prospects EARNING ice time at Beleskey’s expense and receiving it because of zero alternatives. 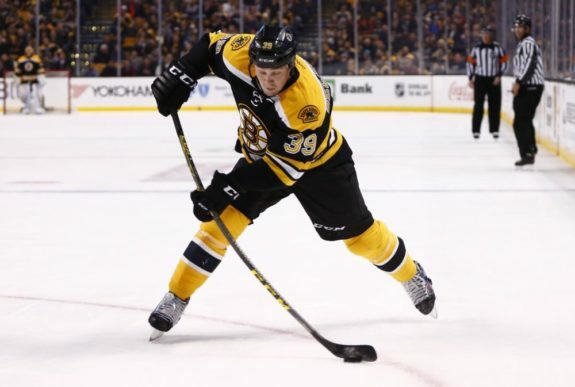 Anders Bjork, Danton Heinen and Jake DeBrusk headline an impressive crop of roster hopefuls capable of playing left wing. Kenny Agostino was signed as a potential low-cost option for Boston’s middle six. Should they all surpass Beleskey as viable options at left wing…so be it. The only loser in that scenario is Beleskey himself. In fact, that could be considered a best-case scenario. Expecting them to excel or relying on them because of a lack of alternatives are risky propositions. Fostering development, nurturing confidence and putting individuals in the best possible position to succeed are paramount with young players. As such, a resurgence from Beleskey would have a domino effect throughout the lineup. Waivers-exempt prospects who could use additional refinement can now do so at their own speed, at the appropriate level of competition. Despite the fact that he’ll be competing with them for ice time, a successful Beleskey could also serve as a key cog in the positive development of Boston’s prized prospects. Boston’s third line was a year-long disaster in 2016-17. 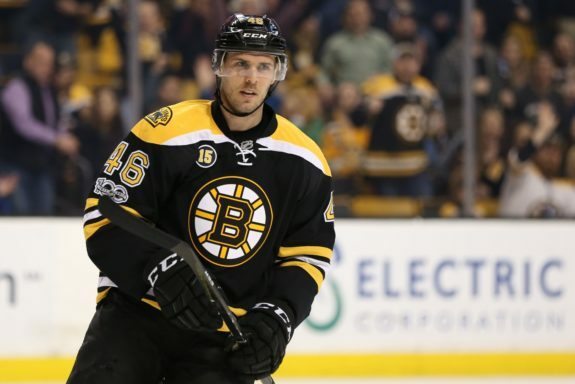 Finding a fit to David Krejci’s left is a narrative that has carried over from last season into mid-July. Before scoffing at the notion of Beleskey being the solution to the latter issue, it bears mentioning that that’s essentially why he was signed. To this point, the union hasn’t truly come to fruition. And after last season’s performance, I understand that suggesting it still might is a tough sell. But there is a precedent for similar reclamations and combinations working quite well; one even involves Beleskey himself. It was Beleskey’s play in a top-six role alongside Ryan Getzlaf and Corey Perry that earned him his current contract. He scored eight goals through 16 games in the 2015 playoffs alongside the duo, following a 22-goal regular season campaign. The line specifically excelled down low on the cycle, a Krejci specialty. 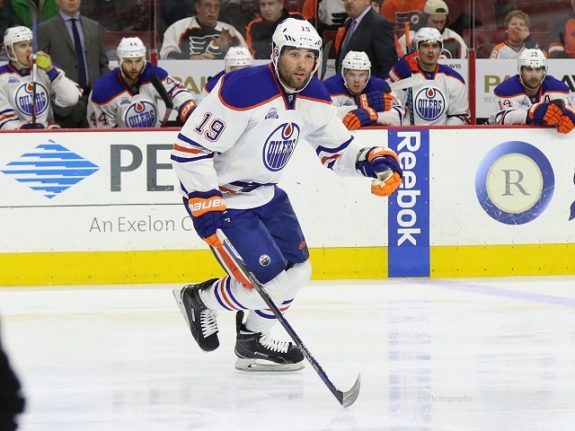 This past season, Beleskey’s former teammate Patrick Maroon brought his physicality and third-line pedigree to the Edmonton Oilers’ top line. Alongside Connor McDavid and Leon Draisatl, Maroon potted a career-high 27 goals while grinding and buying space for his highly-skilled linemates. Yes, McDavid and Draisatl are special talents. But Krejci and David Pastrnak are extremely talented in their own right, and the dynamic is the same. Find a physical player to drive the net, do the dirty work and create space for finesse players. He could serve a similar purpose on the team’s third line, should they go young and skill-heavy there. Players like Jacob Forsbacka-Karlsson and Anders Bjork could greatly benefit from Beleskey’s presence. 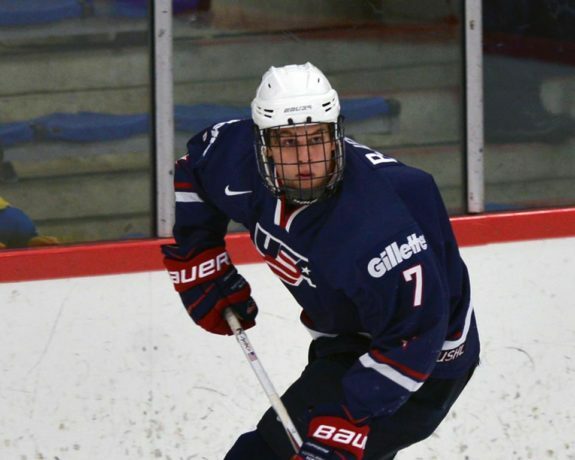 He could even join Riley Nash and Noel Acciari to form a heavy, formidable fourth-line. WHERE he winds up playing is of less importance than HOW he plays, and where he can have the greatest impact. This season is not who I am. That’s not what I signed to do here. You know, this is going to be a big summer for me with sticking around here. I’m going to train here with all of the facilities and everything available to me. I think this will be a great summer here in Boston, and I’m looking forward to next season. I’ve said before, I made a commitment to this city, they made a commitment to me, and I owe a much better year than this year. I can guarantee it won’t happen again. Considering that he’s a true “meat and potatoes” player, and not the type to coast on undeniable skill, I for one take Beleskey at his word. I predict that the Matt Beleskey we see in 2017-18 will have a lot more in common with the player who first arrived in Boston than last year’s shell. He’s motivated, healthy and will be given the opportunity to restore his reputation. Should he fail to do so, the team and possibly even their talented prospects will suffer as a result.